Continuity mistake: Kimble dives from the top of the dam when Gerard traps him in the tunnel. 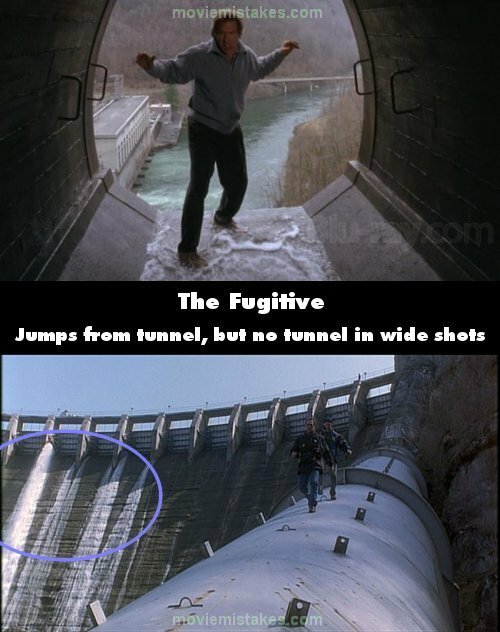 But in wide shots of Kimble falling, there's no tunnel above the dam. 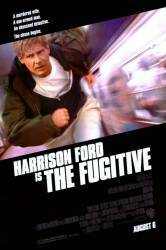 (The tunnel scenes were shot in Chicago, but the location sequences were done at Cheoah Dam in North Carolina - which has no tunnels. ).